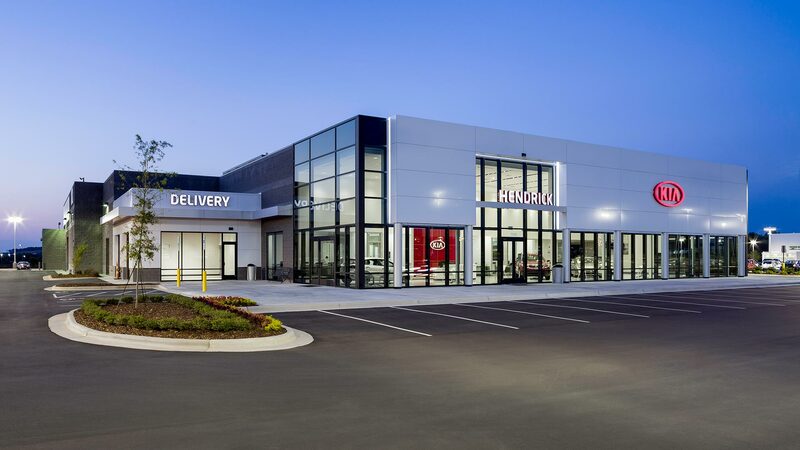 Hendrick KIA of Concord is one of several high-tech dealerships in the Concord Automall for Hendrick Automotive Group. The automall is uniquely designed to face away from the main road and focus its attention on the customers. The exterior and interior are both clean and modern with upgraded finishes and bold color accents. Customer areas are especially appealing with soft finishes and European styling. 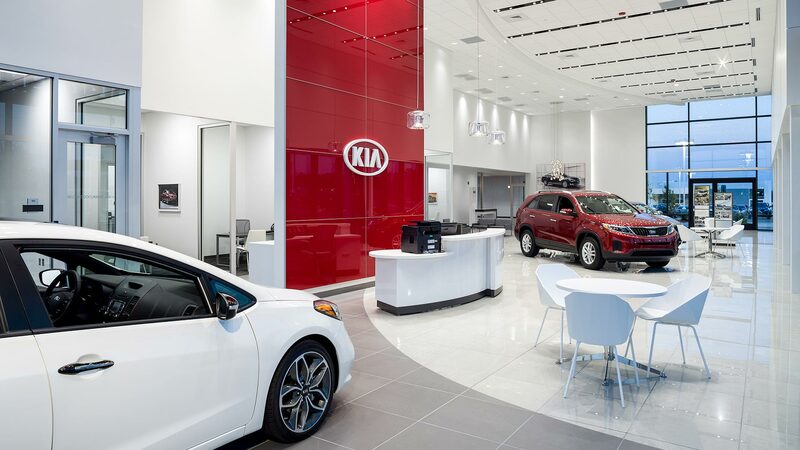 The KIA Brand has come a long way since its early days, and this store really shines through.